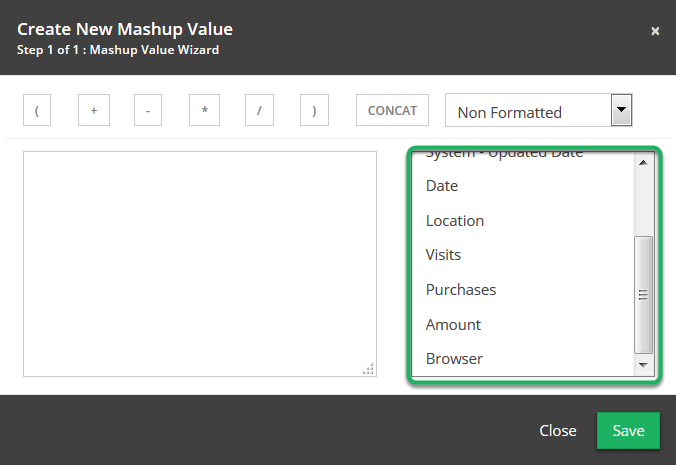 Documentation and SupportReleases 2015-11-03 ReleaseWhen creating a live mashup, all fields in the table will now appear instead of only ones in the view. 1. All fields will now appear. Prev: Date fields that are left blank when added will be NULL in the database. Next: Form will now error if a required field is not included while pasting.